Throw in golden orange. Jin throw is the perfect throw for this summer. 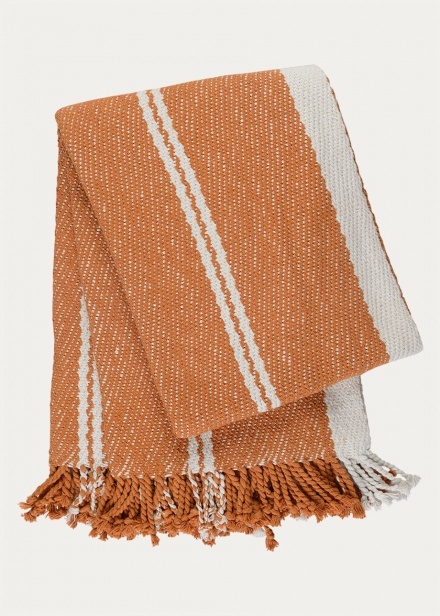 It gives you extra warmth on chilly summer nights or why not use it as a picnic blanket? Handwoven. Size:130X170 cm.